Renowned for bringing the greater Chicago area a wide-selection of bridal jewelry, fine jewelry, and luxury-grade timepieces, Merry Richards Jewelers proudly offers their beloved customers simple diamond buying and selling services at both of their state-of-the-art Oakbrook Terrace and Glenview, Illinois, showrooms. Completed entirely on-site, selling your diamonds to Merry Richards Jewelers is as easy as 1, 2, 3! Step #1: Call Merry Richards Jewelers at (630)-516-8000 to set up an appointment with a buyer. Step #2: Let one a member of our team appraise your diamond. Step #3: We write you a check! Why Sell Your Diamonds to Merry Richards Jewelers? 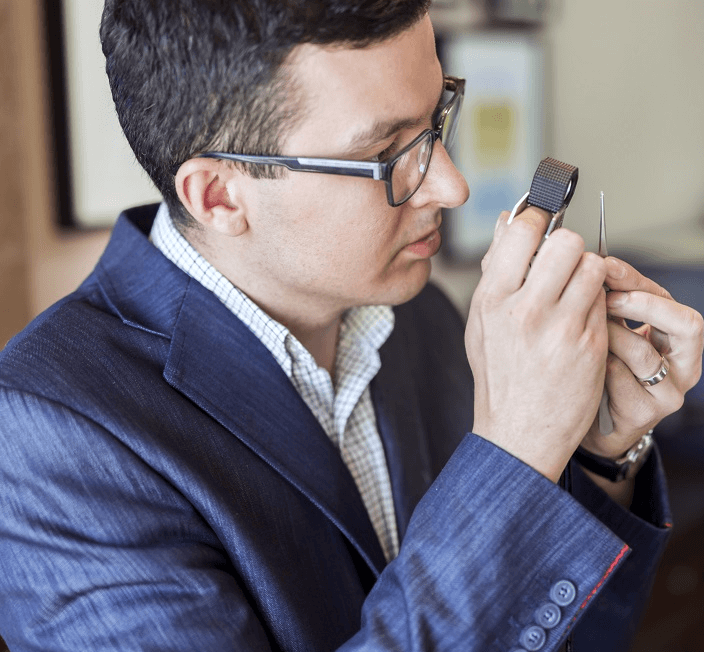 Registered and certified with the Gemological Institute of America (GIA), the Jewelers of America, and the Better Business Bureau, Merry Richards Jewelers is your trusted fine jewelry retailer. With two wonderful locations in Oakbrook Terrace and Glenview, Illinois, Merry Richards Jewelers’ customers in the Hinsdale, Northbrook, Evanston, and Chicago areas will find not only generous diamond, gold, and estate jewelry buying services, but also a wide array of luxury jewelry itmes from some of today’s leading designer brands. For more information on the diamond buying services, or to make a diamond buying appointment at Merry Richards Jewelers, please visit the "Contact Us" page, call (630)-516-8000, or stop into either of the Glenview or Oakbrook Terrace locations of Merry Richards Jewelers today! Need to sell your diamond or diamond engagement ring? We are seeking loose or mounted diamonds of all qualities. No diamond is too big or too small, in fact, Merry Richards Jewelers has paid as much as $500,000 for truly exceptional diamonds.